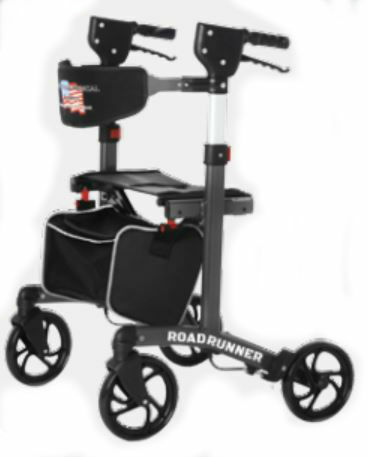 The Roadrunner Tall Rollator is manufactured by Veterans Medical Supply Inc, is TAA Compliant, and is on FSS Schedule V797P-3195M. 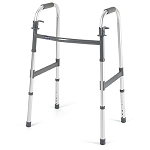 The TALL version has a seat height of 24" and handles adjust from 32-40". 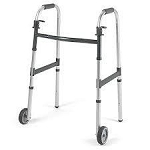 It is metallic grey in color, to easily identify or distinguish which rollator is the tall version. Standard are red or blue, and heavy duty is metallic green. 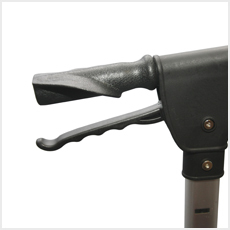 It has a compact folding system that is easy to fold with a simple lift of the handle. 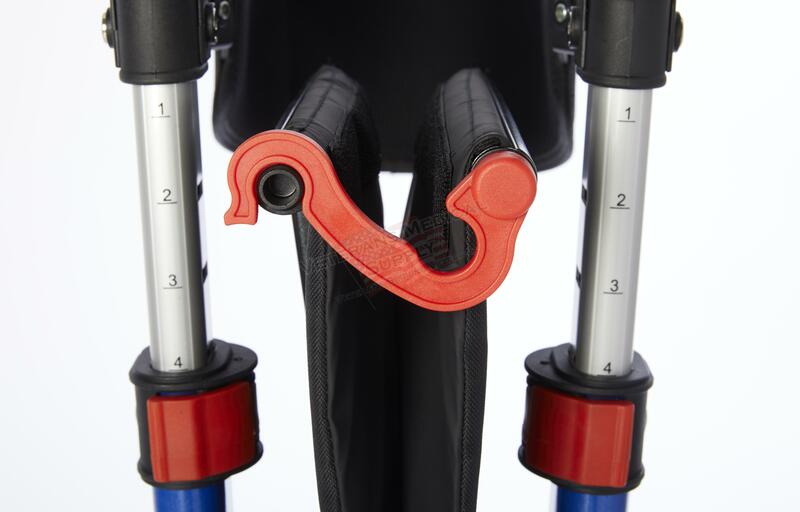 This design makes it easier to lift into the trunk of a car. 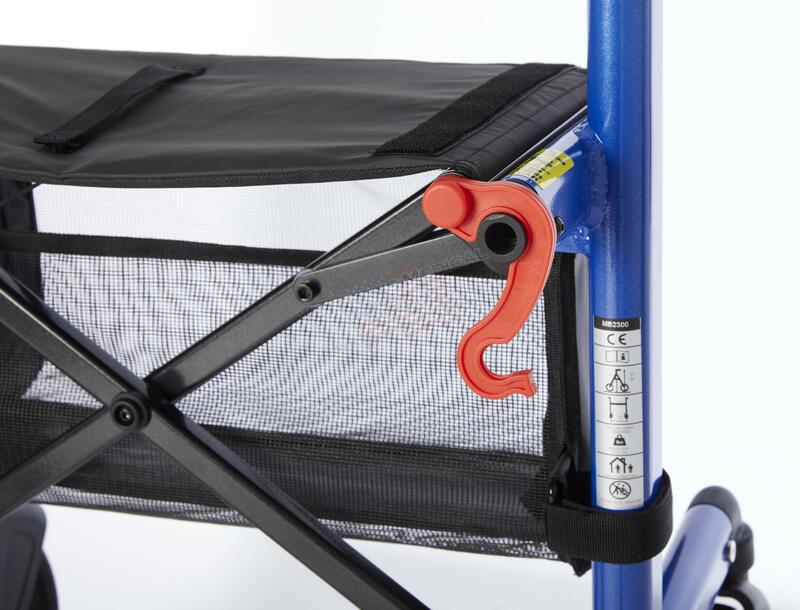 As an added benefit, the unit also stands when folded, for easy storage when not in use. It locks open or closed, simply, with one hand. Please see the images for detail. 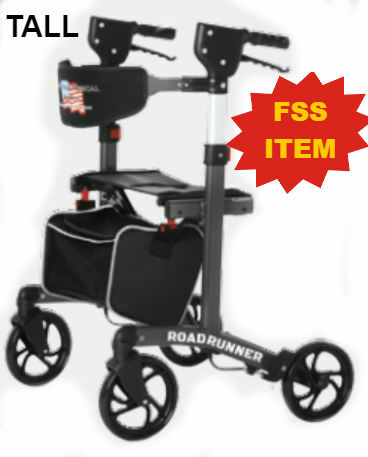 Seat to Floor Height 24"
Seat Dimensions 18" x 8.75"
User Height Range 5'3"- 6'4"